We take care of the big things, and all the little things too. Whatever your mobility needs are, we have fully trained carers ready to deliver the home care you need. The Lucerne team are Carers that Care. We work in teams and visit the same clients each day for the full amount of time allocated. Our clients have the reassurance that they are getting familiar, trusted carers every day for consistently high-quality care. From our intensive research, this is of paramount importance to our clients, clients families and Lucerne carers. We offer a bespoke dementia home care service addressing the changing needs of a client within their home environment. This is a specific illness in which our Staff are fully trained by Huntington specialists from the Huntingtons Society. Lucerne carers are trained in all different forms of Dementia. 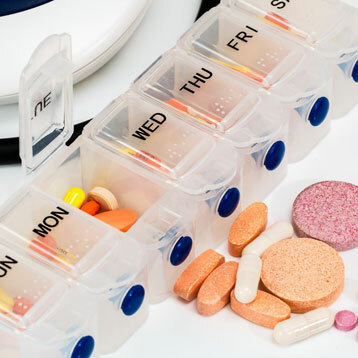 We understand the impact of routine and the administration of medication. 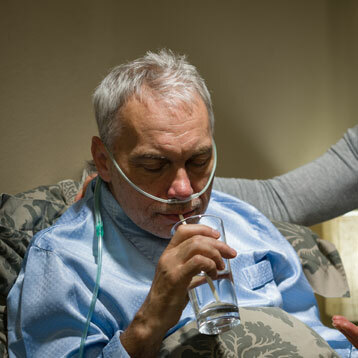 Complex care can require equipment and adaptations to the home. Our care team happily correspond with medical staff. At Lucerne we know the importance of ensuring that the correct medication is administered at the right time, every time. At Lucerne we recognise that there is a lot of living to do for a client that has a palliative diagnosis. We deliver this remarkably well. At Lucerne, we work alongside your cancer specialists to ensure that you have the best and most appropriate care possible. For your peace of mind and those of your family, we will adapt our care plans to suit your own personal care requirement. All medication logged and audited, with regular spot checks undertaken to ensure accuracy. Specialised medication can be administered. All medications administered In accordance with care inspectorate requirements. Whatever your mobility needs, are we have fully trained staff in all aspects of moving and manoeuvring of people. We have our own dedicated training centre where staff are trained on the latest equipment and techniques to ensure your comfort and safety at all times. All Staff are fully trained in the moving and manoeuvring of people safely in accordance with LOLER, RIDDOR and care inspectorate requirements. Cooperatively, we work alongside district nurses, occupational therapists (OT’s) and other professionals. 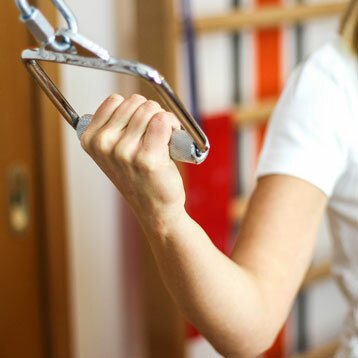 Safety and risk assessments are carried out prior to the commencement of care with regular reviews and updates. We employ fully qualified moving and manoeuvring assessors. We don’t just provide Personal Care, we provide Personalised Care. We actively encourage independence and will only assist when necessary. 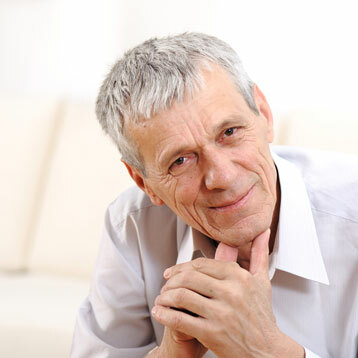 Lucerne understands that having a Carer for the first time could be unsettling, but very quickly you will feel confident and comfortable with our Carers. 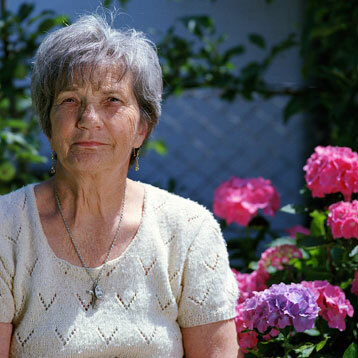 Many of our clients go on to feel their Carer is like a friend or family member. At Lucerne, we never forget we are visiting your home. We are here to support you and your family in a way that is not intrusive or disruptive. We will adapt to the correct level of support in relation to your changing needs and we will always ask your opinion on all matters. We offer bespoke, personalised care that is planned around your needs. As your requirements change, we adapt accordingly to ensure that the correct service is delivered at all times. Lucerne promotes independence where possible to ensure that the services we provide support but do not impinge on your personal and family life. It is your house, your rules. We offer a bespoke dementia home care service addressing the changing needs of a client within their home environment. 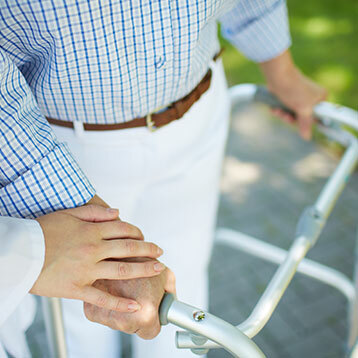 We recognise the importance of consistency and continuity of care by providing the same Carer to your home. We know that you or your family member want to stay at home for as long as possible, having trained Lucerne Carers there to assist you, enables the person with Dementia to stay at home. 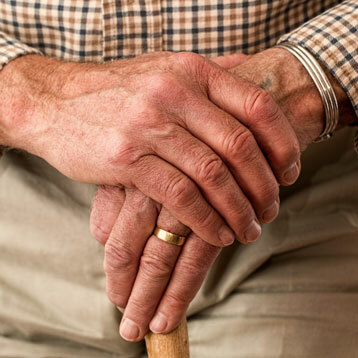 Lucerne is not just here for the person with Dementia, we are here to help and support the family members as well, taking some of the stress and worry away from the family and giving you peace of mind that all is well. Fully trained staff specialising in all forms of dementia. Working cooperatively with other specialists and families. Advice on making your home more dementia friendly. Recognition that each persons dementia journey is different. Support to remain at home. Re-empower you to make choices in your own home, safely. Some of our clients when they are first diagnosed with dementia tell us it feels like a live sentence has just been given to them. People start treating them differently and choices start being taken away from them “for their own good”. We are passionate about supporting our clients with the choices they want to make in their own homes. 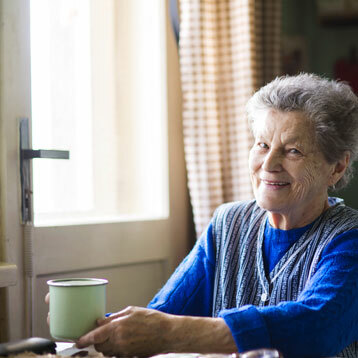 Lucerne offers helpful and cost-effective tips on simple little things that can be life changing, enabling the home environment to be more dementia friendly. Through working with Alzheimer’s Scotland and developing training programmes with Stirling University, Lucerne pursue improvements in the quality and standards of dementia training and care standards. Our carers go through intensive dementia awareness training. We understand the necessity of implementing a daily routine. Lucerne are working with Alzheimer’s Scotland to help raise awareness and improve care standards. A comprehensive training programme that exceeds the basic NHS dementia induction programme. Lucerne raised over £7.5k for Alzheimer’s Scotland in 2018. At Lucerne we know the importance of ensuring that the correct medication is administered at the right time, every time. We know that even a slight delay can have a major impact on your health for some time afterwards. Our carers know that the proper time constraints must be adhered to daily. All of our staff are trained in the administration of medication and the complexities of Parkinson’s. Medication given on time, every time. Trainers qualified by The Parkinson’s society. Highest priority level in all contingency planning. It’s never easy being told you have cancer but here at Lucerne we endeavour to work alongside your cancer specialists to ensure that you have the best care possible. Your choices and your independence are of paramount importance to Lucerne. All medications logged and administered correctly. We are here to help with the big choices, but also the little things you do not want to burden family with. We know that time can be very precious, we want to ensure that you have all the choices available to do whatever you want or need to do. Care plan agreed and adapted with you. Support for family, friends and pets. This is a specific illness in which our Carers are fully trained by Huntington specialists from the Huntington’s Society. We recognise the daily challenges not just to the client but also to the family. We are here for you. Understand and recognise the challenges. Care for the carers support. At Lucerne we recognise that there is a lot of living to do for a client that has a palliative diagnosis. Sometimes it is not the big things that are important to you but the small and simple requirements of life that you might need help with. Our Carers recognise and support the changing needs of Palliative care clients. Fully trained staff, with specialist palliative experience from a local hospice. For your peace of mind and those of your family, we will adapt or care plans to suit your own personal care requirements, changing and adapting to your health and wellbeing needs. Suppliment the services offered by the local authority. Light or home cooked meals option. Late bed downs by arrangement. Complex care can require equipment and other adaptations to the home. Our dedicated regional care team will correspond with medical staff, occupational therapists (OTs), physio’s and other health care professionals to ensure a well-rounded care plan is in place. Social calls and befriending service. Custom care for specialist care needs.